The 10 Best Thrift Shops in Arkansas! Who isn’t looking for a good bargain these days? 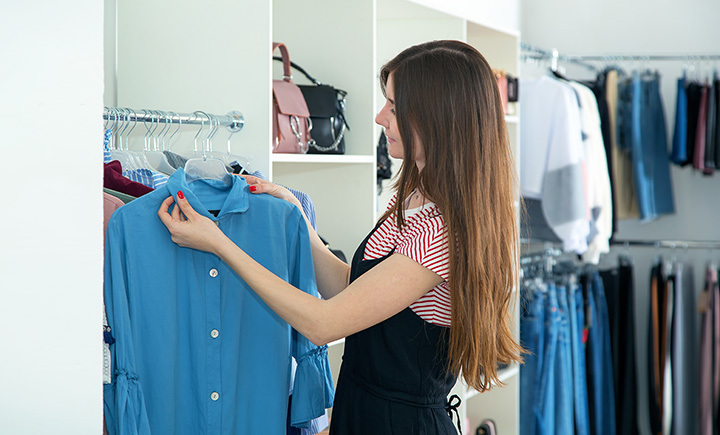 Shopping for gently-used second-hand items is a great way to keep some money in your wallet while supporting your community at the same time. Here are our picks for the 10 best thrift stores in Arkansas. This compassionate group is called by Scriptures to care for those in need in the Northwest Arkansas area. The Samaritan Community Center keeps it local by featuring two Samaritan Shops in Rogers and in Springdale that feature gently-used clothing, household items, and furniture. These non-profit resale shops help to fund SCC feeding centers and food pantries in the area. All profits from this popular thrift store go to support the mission of the NWA Women’s Shelter, which is to provide intervention and assistance to any person meeting criteria for domestic violence or sexual assault. The shop, located in the Southgate Shopping Center, is a key piece of NWA Women’s Shelter’s efforts in helping clients begin a new life. Prepare to rummage at Mustard Seed Thrift in Fort Smith. Due to its revolving price system, shopping at this thrifty spot may require a little time and patience, especially if you’re looking for something in particular. But that’s a small price to pay when it comes to saving money! When items have been at the Mustard Seed for five weeks (the max time the store will carry an item) the already low price is then dropped to just 50 cents. The Northwest Arkansas Compassion Center opened its doors in 2011 and has gained a reputation for being one of the best thrift shops in the area. This great thrift shop features a variety of gently-used and new items available at well-below retail prices. All proceeds generated by the store are returned directly to area communities through the Compassion Center’s community service programs. “The key to saving money is to shop at Key Elements Resale.” Key Elements has gained a reputation of friendly service and is known for having one of Arkansas’ largest collections of new and used wedding and formal wear. This family-owned and operated thrift shop has been serving the Central Arkansas communities since 2004. One of the “largest in the South,” Truly Yours Consignment features nearly 20,000 square-feet of gently used items tagged at discount prices. This color-coded shopping experience will not only help you save money but it will also help you help your neighbor. This great thrift shop provides training, employment opportunities, and normalization for adults with developmental issues. The secondhand clothing items here are priced from 50 cents to $5, a great bargain for any budget! The Beehive Store operates on tax deductible donations from the public and is open Monday through Saturday. A-Line has been a popular thrift shop in Fayetteville for over 20 years. This cute little shop features gently-used, seasonal-based women’s clothing at reasonable prices. A-Line features everything from casual to formal clothing, with a variety of shoes, purses, and other accessories. Plato’s Closet is well-known for carrying popular brand names like Abercrombie & Fitch, Hollister, and Miss Me, making this resale franchise one of the most popular thrift shops for teens and young people. Plato’s Closet has seven great locations in Arkansas: Conway, Fayetteville, Fort Smith, Jonesboro, West Little Rock, North Little Rock, and Rogers. “Donate, Shop, Change a Life.” That’s the social enterprise for Goodwill Operations of Arkansas, founded in 1927. Today, numerous Goodwill Stores and Donation Centers can be found throughout the Natural State. While these centers serve to provide life-changing opportunities for the disenfranchised, they are also some of the best thrift stores in Arkansas.